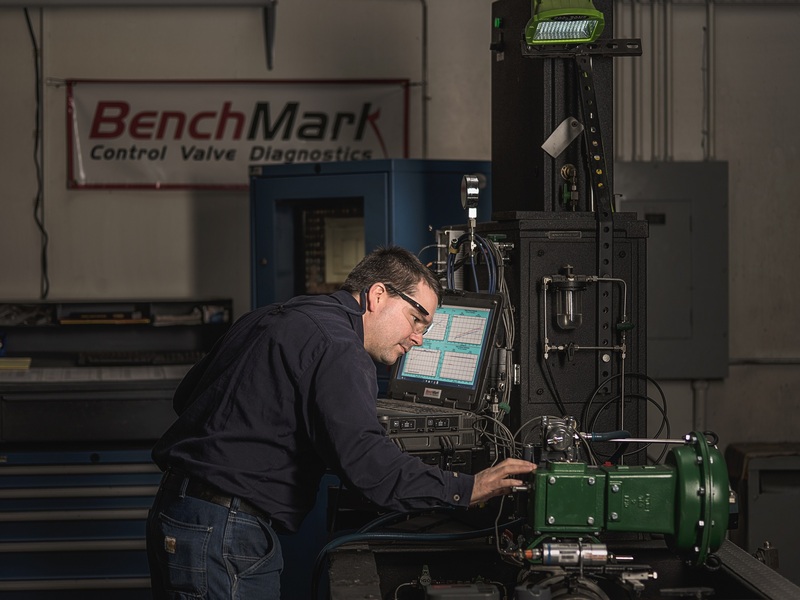 Our BenchMark Valve Testing standard sets the bar for Industrial valve testing & calibrations and we can bring it directly to you. BenchMark is the best and most thorough valve diagnostics tool available today. By testing and calibrating your valves that are still in service we can provide a full analysis and report of the performance of your critical application, saving you from unexpected downtime as well as saving you money. Predictive/Preventative Maintenance- Identify problems before they cause shutdown of your critical processes. Save downtime and money by being able to change out valves during scheduled downtimes. Have complete performance records of all your most important control valves.